THE ART OF TRANSITART EUROPE [TE] is a combination of two artistic attitudes – a manifest of Janusz Plota’s transit art from the period of 1992-1993 and a manifest of his archetypical art from 1994. Transitart Europe is searching, documenting and presenting archetypical art in independent and official galleries and museums of Europe. 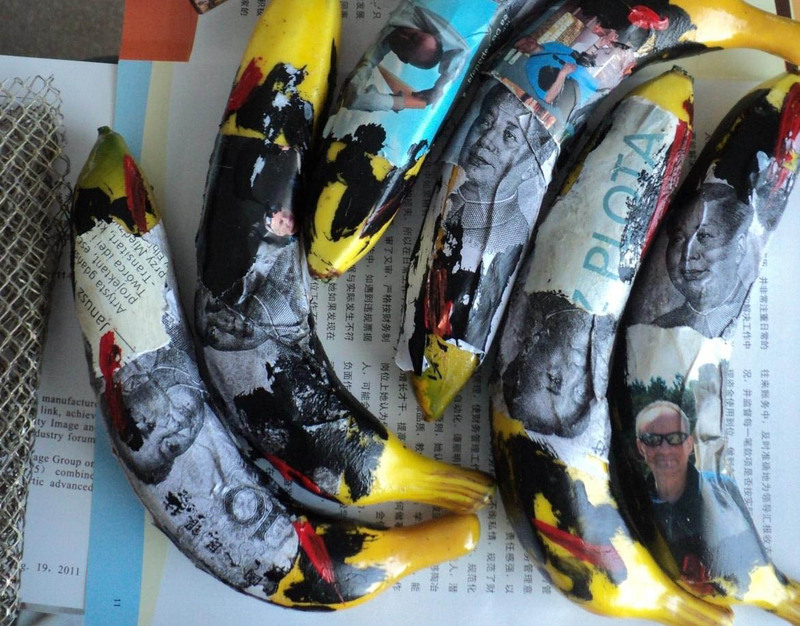 It is a presentation of creative attitudes which combine art and archeology. The artists using a similar language of creative expression are invited to participate in joint presentations and manifests of transit art. Rotary office, gallery and museum are the creative exponent of Transitart Europe as a constant search for a “place”. The museum collections of Transitart Europe are systematically enriched by new documentation of 21st century art, works and donations of the artists taking part in TE projects. The 2011-2016 project means transforming TE presentations into a periodical festival of transit art – showing archetypical changes in the art in the world and establishing a permanent museum base of transit art that would document, initiate and coordinate the activities of TE and similar ideas in Europe and in the world. 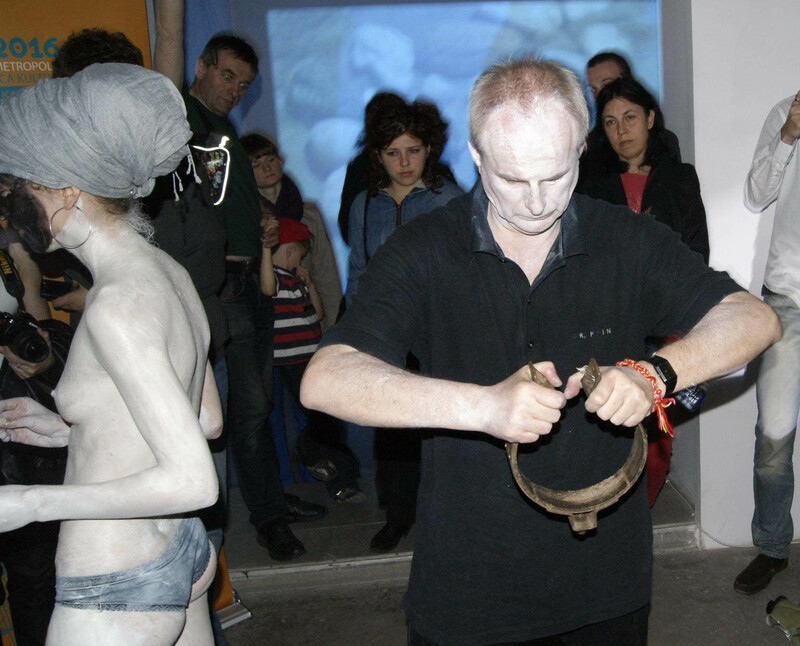 Janusz Plota –performance Gold Fisch,12th International Sculpture Symposium,China 2011. Janusz Plota-performance 07/05/11.An X-ray of city and non city.Laznia Centre for Contemporary Art,Gdansk,Poland,2011. INDEPENDENT CURATOR OF MODERN ART. Was born in 1957 in Poland( Miastko). He studied at National High Arts College in Gdansk, Poland, The Faculty of Painting and Prints in 1981-1986(specialization in wall-painting ) .The painter, the performer, the creator of space, independent curator, the founder of the Formation of TransitArt (1992-3).From time to time the artist manifests his discoveries in galleries and museums creating new objects, columns, installations and megasigns: 12 th China Changchun International Sculpture Symposium China 2011, The 5th Thailand International Wax Sculpture Ubon Ratchathani 2010, Biennale Internazionale Dell’arte Contemporanea -Florence Biennale Italy 2009, Und’4 Karlsruhe Germany 2009, Beijing International Art Biennale 2008 China. Transitart Project-Europe between transarchetype-2010,2009,2008, 2007, 2006,2002. Night of Museums -Transitart Europe Museum Project-Poland: 2011,2010-2012, ,2009,2008,2007. International Art Conference Humus of art-art of Humus 2007,2006, Europe. International Art project-Mirror of Freedom- Gdansk 2009,2008, Poland.Space of Memory2005.Fly of art-Art of fly-2003,Arche 2000. 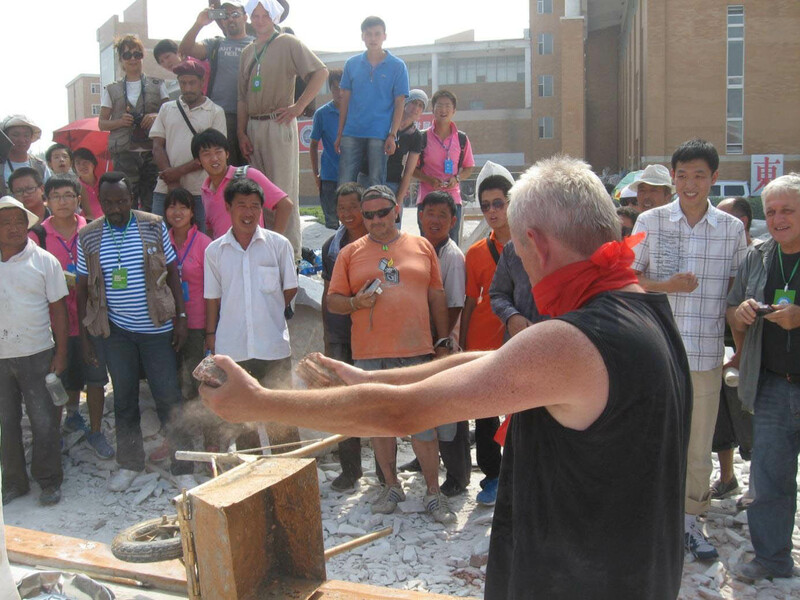 Janusz Plota, 3th China Changchun World Sculpture Conference, China,2011.